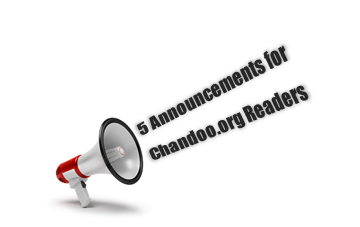 I want to share a happy news with you all. On Saturday (1st of February), we bought a new car. It is Toyota Innova. 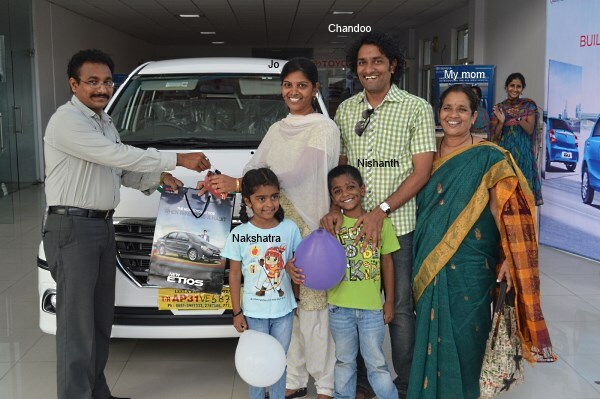 Read on to know more about the car, why we bought and a special thank you message to you. Excel School Prices Going up from 29th August, Join Now to save! 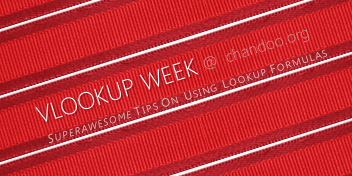 We break the regular awesomeness on Excel & related beauty to bring you an important notice. 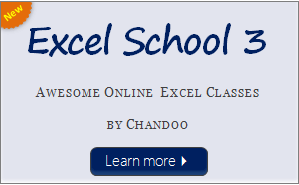 You may know that I run an online Excel & Dashboard training program, called as Excel School. We have been running this course since Jan 2009 and trained more than 1,500 students thru this so far. And starting next Monday (29 August), the course prices are going up. 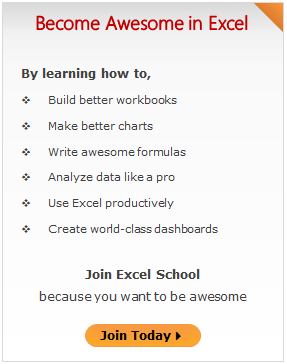 So, if you are waiting to become awesome in Excel, now is your chance. Click here to learn more about Excel School & Join us. 1. VBA Classes – 2nd batch details. 4. Excel School prices going up! 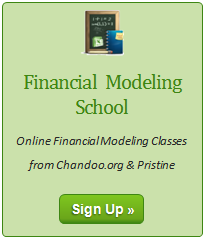 Excel School Closing in a Few Hours – Join Now! As some of you know, I run an online Excel Training Program called as Excel School. 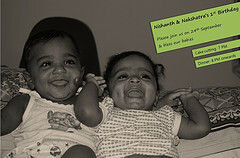 I have opened registrations for 3rd batch of this program on September 14th. Thank you very much for supporting this program wildly. 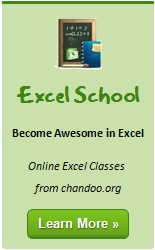 In a few hours, I will be closing the registrations for Excel School. Read the rest of the post to learn more about Excel School and also download time across world chart template.